Check out the Amish Classic Shaker Platform Bed that is handcrafted in your choice of oak or cherry solid wood. Choose the finish that best complements the rest of your bedroom decor! 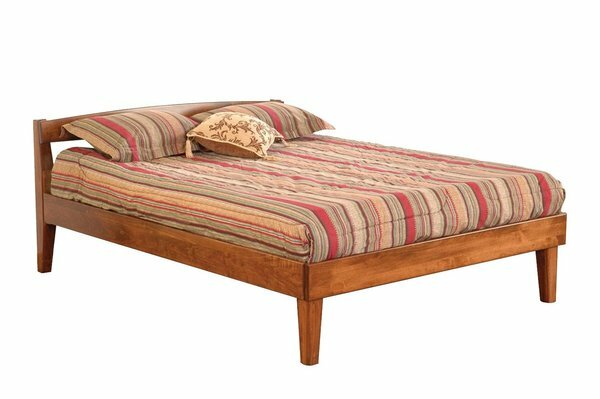 This handcrafted bed is constructed with a mid-century modern style. This simple yet elegant looking bed can become the centerpiece to any bedroom suite! This handcrafted Amish bed is available in three different bed sizes! Choose a full, queen or king size bed for your bedroom! As shown in the pictures when you go through the options, a full size bed is better suited for a single person. Queen and King sized beds are perfect for two people and especially nice and roomy for a single person. Don't hesitate to call 866-272-6773 with any questions you have or custom quote requests! You will be directed to speak with one of our Amish Furniture specialists who will help you out through the entire process. If you would rather email us at Questions@DutchCrafters.com that works too! Call or email us and you will be put in touch with one of our Amish Furniture Professionals who will act as your personal assistant. Thank you for shopping with DutchCrafters.